An Indiana signing agent who more than a year ago admitted to selling the social security numbers of borrowers still has her Notary commission and could conceivably take on new loan signing assignments. This case is probably one of the worst nightmares a borrower and lender can face in the mortgage origination process. It also highlights why many mortgage lenders are requiring annual background checks for the signing agents who handle their loans. Melissa Hodge of Indianapolis pled guilty to an identity theft-related charge in June 2013. She was later sentenced to probation and ordered to pay $85,000 in restitution, according to a spokesperson for the U.S. Attorney’s Office for the Southern District of Indiana. Federal investigators initially accused Hodge of selling the social security numbers of 16 borrowers for about $20 a piece to an identity theft gang. The gang then opened up credit card accounts in the borrowers’ names and racked up $160,000 in charges. A spokesperson for the Indiana Secretary of State’s office said the agency was working to revoke Hodge’s commission. Until then, she remains listed as an “active” Notary and may continue performing notarial acts until her eight-year appointment expires in 2018. Because most states do not require background screenings for Notary commission applicants, Hodge conceivably could move to one of those states and get another commission. While the Hodge case may not be the norm, it’s far from an isolated incident. Earlier this year, authorities in Florida sought to revoke the commissions of 33 Notaries, including many with criminal records. The move came after an Orlando television station reported it discovered over 400 active Notaries in the sunshine state were convicted felons. Florida, like Indiana, is among the approximately 40 states that do not require background checks for Notaries. Lenders and title companies have a lot at stake when they hire Notaries. In April 2013, the Consumer Financial Protection Bureau (CFPB) issued a bulletin reminding financial institutions that they are ultimately responsible for the proper vetting and supervision of all third party contractors hired — including signing agents. “Today, the regulators make it very, very clear that the lender is accountable for anything that a third-party service provider does throughout the life of the loan process,” Sally Freudenberg, Vice President of Wells Fargo Home Mortgage, said during the industry panel discussion at NNA 2014 in June. In the current regulatory environment, lenders want to make sure that signing agents meet more stringent, industry-specific standards — including more frequent background screenings. That way companies can be sure they have more current and accurate information about the NSAs they hire. A common misconception is that current state Notary qualification requirements are stringent enough. As mentioned, most states do not require Notaries to undergo background screenings. Most states also do not require any training or testing to become a Notary. In 2013, a consortium of mortgage lenders and title insurance companies, with the National Notary Association serving as advisor, formed the Signing Professionals Workgroup to create a set of five broad standards for signing agents. The first standard establishes the criteria for annual background screenings. The criteria states use to determine if a Notary applicant passes a background check is usually kept confidential. In contrast, the criteria used by the SPW are publicly available and custom-tailored to meet the specific needs of the mortgage finance and settlement services industries. In addition, annual screenings will make it more difficult for signing agents like Hodge to continue working in the industry and gain access to borrowers’ personal information. I know that things have been slow for younger Notaries, its been slow for everybody, but where is there sense of integrity? This only makes Companies not trust anybody anyplace. Makes for a bad work environment for the Rest of Us, who just enjoy being a Traveling Notary. Thanks so much for letting us keep abreast of all the new Laws and keeping us informed as to why such things are needed. I was upset that I needed a Background check all the time, but you explained and I understand completely. I just live in a small community. Not sure if there is any fraud going on here or not? Im appalled at this but not totally shocked. Folk these days do anythng to make a quick buck not caring of the consequence. This is sad someone risked getting a few dollars and created a lifetime of hurt. I find this to be a blow to all of us honest, trustworthy notaries. She should be prosecuted to the fullest extent of the law. Most of us are hardworking and conscientious about privacy of the borrowers. As this obviously happened, I do appreciate the requirement for an annual background check. What I do NOT understand nor appreciate is why some want the full report provided and not just the NNA BGC Certificate (results of which conform to what they stated they wanted in a BGC). Seems that any company requesting this could be exposing far more people/notaries to potential Identity Theft in a day than any notary could in a year. There is something very wrong with this concept. Hello Ardel, thank you for your comment. 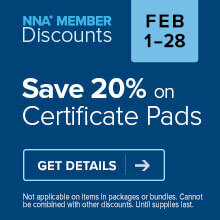 The NNA takes the privacy of Notaries who undergo background screenings very seriously. We can tell you that we have never released any Signing Agent's background information during the life of the program. For more information, please see the following articles and Facebook post addressing questions about background screening privacy: http://www.nationalnotary.org/notary-bulletin/blog/2013/12/five-myths-about-background-screenings-explained https://www.facebook.com/nationalnotary/posts/10152452482469916?comment_id=10152458124214916&offset=0&total_comments=1 I hope you find this helpful. Thanks for your feedback and have a great day. This is a horrible thing to do in order to get a few dollars. Where is the integrity and trust these days. I think it is a good thing that the companies require background checks, for this will weed out the bad Signing Agents who don't need this type of information. I do not agree that the State of Indiana should allow this unethical notary to finish out her commission. It's true that for a notary commission in IN, a background check is unnecessary. However, for the required Title Producer's license, background screening is conducted. Unfortunately that Notary didn't see the importance of the Notary's job, otherwise she wouldn't have become a Notary. Notaries have a high standard to keep and to name a few is honesty and integrity.is the main two. 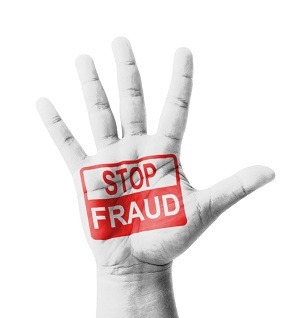 NNA stands for National Notary Association; therefore, all applicants should be checked nationally for fraud. Fingerprinting should be a National requirement! Also, the respective county recorders office should have all 10 fingerprints on file. Anytime a notary commits a fraud, their license should be immediately revoked and noted on the state records. I agree, any fraudster should be punted to the curb/tossed in the slammer for dishonesty. But also, at the same time I think about notaries who had their licenses taken away in FL for a NON FRAUD offense, such as a DUI, or picked up with a bag of weed or something along those lines. Those are felonies as well. I'm all for cleaning up our colleagues but at the same time, don't throw the baby out with the bath water. Any of us on a bad night after a NYE party, Super Bowl, or any gathering can pick up a DUI nowadays or heaven forbid you give someone a ride who throws something under your seats and gets a notary in trouble. Don't think that cant happen to you. My co worker had 2 beers and got a DUI. Cops are all about $$$ now for courts and are out to arrest as many as possible. If you don't believe that, watch more news. I have no problem with a background check. I object to sending the actual check to every signing company that calls. I get mine completed Through NNA which is a recomended agency for Back ground cheks and they will not accept the certificate that NNA provides. I understood if we used NNA that the lender/signing company could go to website and check. I was told that someone could produce a false certificate.